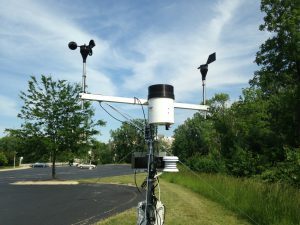 There are tens of thousands of weather stations distributed across the world. Weather stations are responsible for recording a variety of meteorological parameters. Note: The instruments shown in bold are used in wind applications. Source of information: ASME (1988) Performance Test Code for Wind Turbines. ASME/ANSI PTC 42-1988. American Society of Mechanical Engineers, New York.